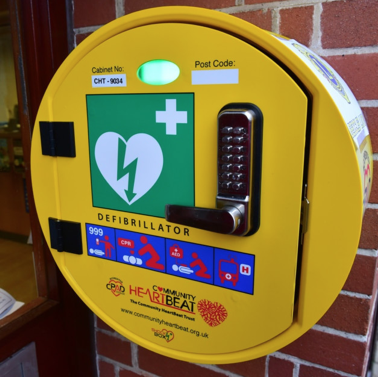 Now that the 24 hour defibrillator has been installed in Marple Town Centre at the front of the Regent Cinema on Stockport Road, it is important that people know how to use it. 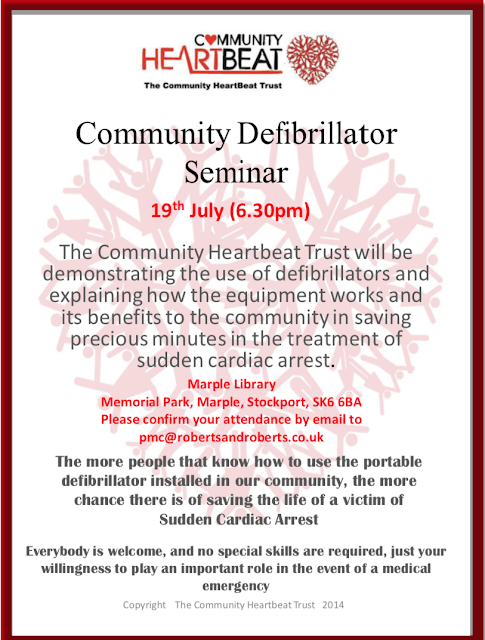 Training has been arranged with Comunity Heartbeat Trust so that people can learn how to use the defibrillator and find out how it works. Everyone is welcome to attend this free seminar and you don't need any special skills to attend.